Finally! 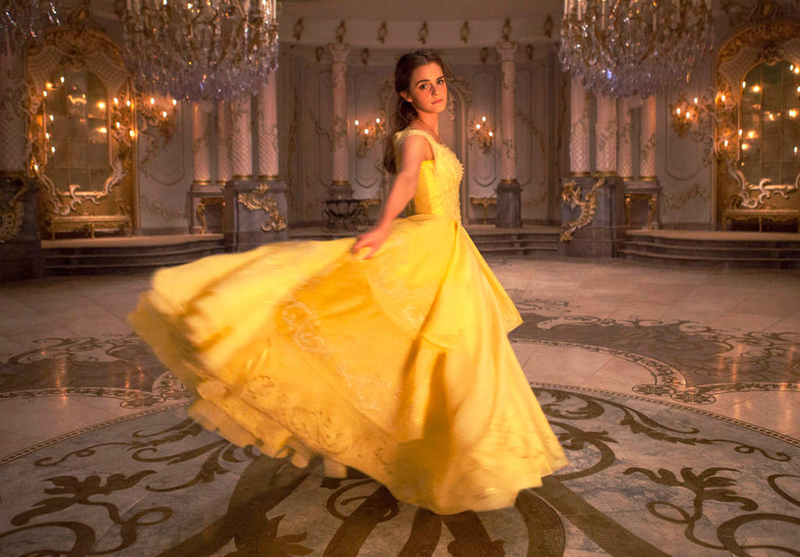 After stepping out in a whole lineup of stunning, ecofriendly styles on her Beauty and the Beast press tour, Emma Watson finally served Us the moment we’ve all been waiting for: an honest-to-goodness, red-carpet Belle dress. The Harry Potter alum, 26, channeled the beloved fairy-tale character she’s bringing to life in the live-action film by wearing a sunshine yellow Dior Haute Couture slip dress for a special event with the New York Film Society for Kids on Monday, March 13, at Lincoln Center, where she met with her littlest fans. She paired the dress with an understated chain necklace and bracelet, and a romantic, loosely wound updo. The Dior frock was a modern take on the one Watson wears in the film, which, like her cartoon predecessor’s, features a fitted bodice and a tiered skirt. However, for the live-action dress, Disney upped the glamour by adding golden embellishments too. Watson was at Lincoln Center to impart her love of reading to the young members of the Film Society, something she also discussed with Mashable on Monday. “[Books are] so powerful and they have the ability to change your life and your outlook, and this story really speaks to that, the sacred nature of books and their ability to transport you and empower you,” she said. Later that night, Watson slipped into a decidedly sexier number — a black Givenchy Couture dress with a sheer, peekaboo panel at the bodice. The stunner also featured a keyhole cutout at the back, accented with a bow at the neck, and a high slit. The Perks of Being a Wallflower actress has been sharing the ecofriendly details behind her clothing and makeup via her @the_press_tour Instagram page. Follow her there for more details. Beauty and the Beast arrives in theaters on Friday, March 17.